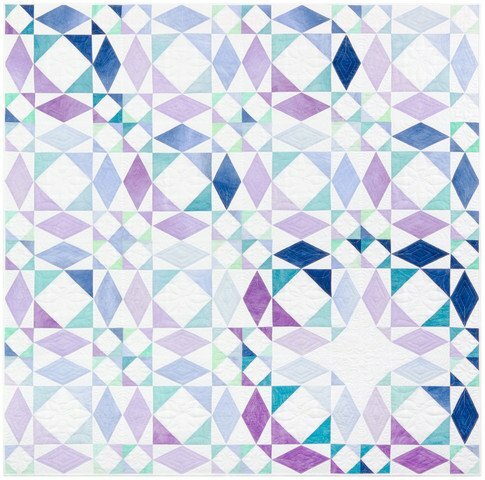 This beautiful quilt uses Mckenna Ryan's new fabric line Sand in My Shoes. Some Kona Cotton fabrics are also used. While this is not an easy quilt to make, it is certainly an impressive one that will be well-worth the time. The way the varying shades of fabric are placed makes this quilt really stand out. The pattern is complete with great instructions, diagram guides, and templates. block assembly diagram samples as much as possible."